This article is about the year 1665. Wikimedia Commons has media related to 1665 . 1665 ( MDCLXV ) was a common year starting on Thursday of the Gregorian calendar and a common year starting on Sunday of the Julian calendar , the 1665th year of the Common Era (CE) and Anno Domini (AD) designations, the 665th year of the 2nd millennium , the 65th year of the 17th century , and the 6th year of the 1660s decade. As of the start of 1665, the Gregorian calendar was 10 days ahead of the Julian calendar, which remained in localized use until 1923. January 5 – The Journal des sçavans begins publication in France, the first scientific journal. March 6 – The Philosophical Transactions of the Royal Society begins publication, the first scientific journal in English. March 11 – A new legal code is approved for the Dutch and English towns of New York, guaranteeing all Protestants the right to continue their religious observances unhindered. March 16 – Bucharest allows Jews to settle in the city, in exchange for an annual tax of 16 guilders. April 12 – Margaret Porteous is the first person recorded to die in the Great Plague of London. 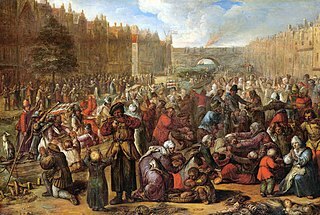 This last major outbreak of Bubonic plague in the British Isles has possibly been introduced by Dutch prisoners of war since 1331 in China. Two-thirds of Londoners leave the city, but over 68,000 die. The plague spreads to Derbyshire. May 19 – Great fire of Newport, Shropshire, England. June 12 – England installs a municipal government in New York City (the former Dutch settlement of New Amsterdam). June 13 (June 3 O.S.) 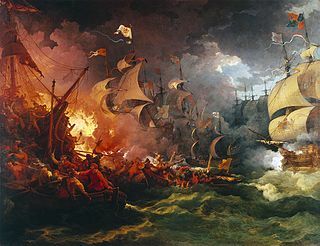 – Second Anglo-Dutch War: The English naval victory at the Battle of Lowestoft under James Stuart, Duke of York. June 30 – King Charles II of England issues a second charter for the Province of Carolina, which clarifies and expands the borders of the Lords Proprietors' tracts. The Journal des sçavans, established by Denis de Sallo, was the earliest academic journal published in Europe. Its content included obituaries of famous men, church history, and legal reports. The first issue appeared as a twelve-page quarto pamphlet on Monday, 5 January 1665. This was shortly before the first appearance of the Philosophical Transactions of the Royal Society, on 6 March 1665. The 18th-century French physician and encyclopédiste Louis-Anne La Virotte (1725–1759) was introduced to the journal through the protection of chancellor Henri François d'Aguesseau. July 3 – The first documented case of cyclopia is found in a horse. July 7 – King Charles II of England leaves London with his entourage, fleeing the Great Plague. He moves his court to Salisbury, then Exeter. August – The Great Plague forces the closure of the University of Cambridge, where Isaac Newton is a student. Newton retires to his home in Lincolnshire for safety, and stays there for two years. 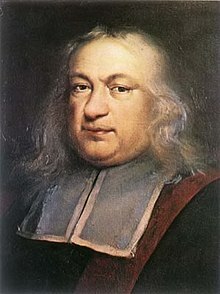 During that time alone, Newton will make groundbreaking discoveries in mathematics, calculus, mechanics, and optics, and lay the foundations for his books Philosophiæ Naturalis Principia Mathematica and Optiks . August 2 – Second Anglo-Dutch War – Battle of Vågen: The Dutch fleet defeats the English. August 27 –Ye Bare & Ye Cubbe, the first play in English in the American colonies, is performed in Pungoteague, Virginia. September – Robert Hooke's Micrographia is published in London, first applying the term 'cell' to plant tissue, which he discovered first in cork, then in living organisms, using a microscope. September 17 – Charles II of Spain becomes king, while not yet four years old. September 22 – Molière's L'Amour médecin is first presented, before Louis XIV of France, at the Palace of Versailles, with music by Jean-Baptiste Lully. October 5 – The University of Kiel is founded. October 21 – Louis XIV of France and Jean-Baptiste Colbert found the Manufacture royale des glaces of Saint Gobain , which is the oldest French company of the CAC 40, with 350 years in 2015. October 29 – Battle of Mbwila: Portuguese forces defeat and kill King António I of Kongo. November 7 – The London Gazette , the oldest surviving journal, is first published as The Oxford Gazette. December 10 – The Royal Netherlands Marine Corps is founded by Michiel de Ruyter. July 3 is the 184th day of the year in the Gregorian calendar. There are 181 days remaining until the end of the year. Cyclopia is a rare form of holoprosencephaly and is a congenital disorder characterized by the failure of the embryonic prosencephalon to properly divide the orbits of the eye into two cavities. Its incidence is 1 in 16,000 in born animals and 1 in 200 in miscarried fetuses. July 7 is the 188th day of the year in the Gregorian calendar. There are 177 days remaining until the end of the year. The Colonisation of Réunion begins, with the French East India Company sending twenty settlers. Ferdinando Carlo Gonzaga is invested as Duke of Mantua. Joan Blaeu completes publication of his Atlas Maior (Theatrum Orbis Terrarum) in Amsterdam. John Bunyan publishes The End of the World, The Resurrection of the Dead and Eternal Judgment and The Holy City or the New Jerusalem. English poet John Milton popularizes the Chinese sailing carriage in a famous poem; this peculiar Chinese invention was first written of in the West by Abraham Ortelius, in his atlas of 1584. The French East India Company was a commercial Imperial enterprise, founded in 1664 to compete with the English and Dutch East India companies in the East Indies. 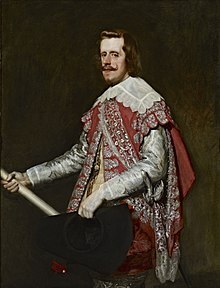 Ferdinando Carlo Gonzaga was the only child of Duke Charles II of Mantua and Montferrat, and the last ruler of the Duchy of Mantua of the House of Gonzaga. 1714 (MDCCXIV) was a common year starting on Monday of the Gregorian calendar and a common year starting on Friday of the Julian calendar, the 1714th year of the Common Era (CE) and Anno Domini (AD) designations, the 714th year of the 2nd millennium, the 14th year of the 18th century, and the 5th year of the 1710s decade. 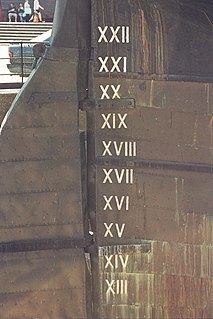 As of the start of 1714, the Gregorian calendar was 11 days ahead of the Julian calendar, which remained in localized use until 1923. Christian Wilhelm of Brandenburg was a titular Margrave of Brandenburg, and from 1598 to 1631 Archbishop of Magdeburg. 1587 (MDLXXXVII) was a common year starting on Thursday of the Gregorian calendar and a common year starting on Sunday of the Julian calendar, the 1587th year of the Common Era (CE) and Anno Domini (AD) designations, the 587th year of the 2nd millennium, the 87th year of the 16th century, and the 8th year of the 1580s decade. As of the start of 1587, the Gregorian calendar was 10 days ahead of the Julian calendar, which remained in localized use until 1923. 1624 (MDCXXIV) was a leap year starting on Monday of the Gregorian calendar and a leap year starting on Thursday of the Julian calendar, the 1624th year of the Common Era (CE) and Anno Domini (AD) designations, the 624th year of the 2nd millennium, the 24th year of the 17th century, and the 5th year of the 1620s decade. As of the start of 1624, the Gregorian calendar was 10 days ahead of the Julian calendar, which remained in localized use until 1923. 1661 (MDCLXI) was a common year starting on Saturday of the Gregorian calendar and a common year starting on Tuesday of the Julian calendar, the 1661st year of the Common Era (CE) and Anno Domini (AD) designations, the 661st year of the 2nd millennium, the 61st year of the 17th century, and the 2nd year of the 1660s decade. As of the start of 1661, the Gregorian calendar was 10 days ahead of the Julian calendar, which remained in localized use until 1923. Year 1574 (MDLXXIV) was a common year starting on Friday of the Julian calendar. 1636 (MDCXXXVI) was a leap year starting on Tuesday of the Gregorian calendar and a leap year starting on Friday of the Julian calendar, the 1636th year of the Common Era (CE) and Anno Domini (AD) designations, the 636th year of the 2nd millennium, the 36th year of the 17th century, and the 7th year of the 1630s decade. As of the start of 1636, the Gregorian calendar was 10 days ahead of the Julian calendar, which remained in localized use until 1923. 1594 (MDXCIV) was a common year starting on Saturday of the Gregorian calendar and a common year starting on Tuesday of the Julian calendar, the 1594th year of the Common Era (CE) and Anno Domini (AD) designations, the 594th year of the 2nd millennium, the 94th year of the 16th century, and the 5th year of the 1590s decade. As of the start of 1594, the Gregorian calendar was 10 days ahead of the Julian calendar, which remained in localized use until 1923. 1610 (MDCX) was a common year starting on Friday of the Gregorian calendar and a common year starting on Monday of the Julian calendar, the 1610th year of the Common Era (CE) and Anno Domini (AD) designations, the 610th year of the 2nd millennium, the 10th year of the 17th century, and the 1st year of the 1610s decade. As of the start of 1610, the Gregorian calendar was 10 days ahead of the Julian calendar, which remained in localized use until 1923. Some have suggested that 1610 may mark the beginning of the Anthropocene, or the 'Age of Man', marking a fundamental change in the relationship between humans and the Earth system, but earlier starting dates have received broader consensus, based on high resolution pollution records that show the massive impact of human activity on the atmosphere. 1638 (MDCXXXVIII) was a common year starting on Friday of the Gregorian calendar and a common year starting on Monday of the Julian calendar, the 1638th year of the Common Era (CE) and Anno Domini (AD) designations, the 638th year of the 2nd millennium, the 38th year of the 17th century, and the 9th year of the 1630s decade. As of the start of 1638, the Gregorian calendar was 10 days ahead of the Julian calendar, which remained in localized use until 1923. 1634 (MDCXXXIV) was a common year starting on Sunday of the Gregorian calendar and a common year starting on Wednesday of the Julian calendar, the 1634th year of the Common Era (CE) and Anno Domini (AD) designations, the 634th year of the 2nd millennium, the 34th year of the 17th century, and the 5th year of the 1630s decade. As of the start of 1634, the Gregorian calendar was 10 days ahead of the Julian calendar, which remained in localized use until 1923. ↑ "Historical Events for Year 1735 | OnThisDay.com". Historyorb.com. Retrieved 2016-08-14. ↑ Bugeja, Anton (2014). "Clemente Tabone: The man, his family and the early years of St Clement's Chapel" (PDF): 42–57. Archived from the original on 20 June 2018.